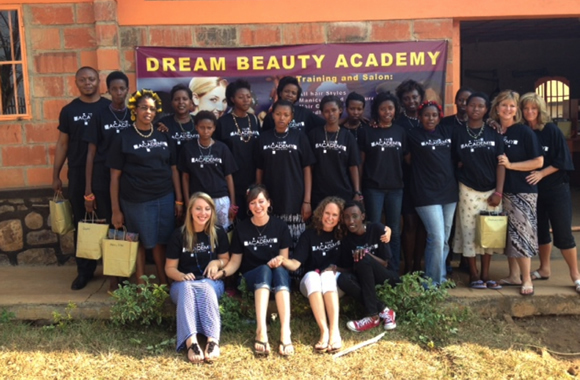 The Academy of Hair Design in Springfield, Missouri has established a cosmetology school half a world away in Rwanda. The Academy of Hair Design (AOHD) in Springfield, Missouri has taken “giving back” to a new level by opening a sister school in Rwanda. The non-profit school, called the Dream Academy of Hair Design, is located in the city of Kigali and is the product of a AOHD’s partnership with Africa New Life Ministries. 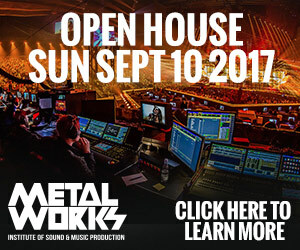 “Our goal was to create a unique opportunity for our students to be involved in an ongoing way,” says Linda Daugherty, AOHD’s superintendent. Rwanda’s economy took a severe hit during the 1994 Rwandan Genocide, in which an estimated 800,000 to 1 million people were killed in an approximate 100-day period. Widespread loss of life, blows to the country’s infrastructure and the neglecting of key cash crops all contributed to pushing unemployment and poverty levels. The Dream Academy of Hair Design will train students to learn a practical and useful trade and contribute to the local economy. 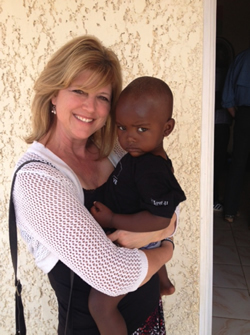 Several AOHD staff members, including superintendent Linda Daugherty (pictured) have sponsored children through Africa Life Ministries. The Academy of Hair Design has always found ways to give back to the community. With the encouragement of its owners, David and Christie Gonzales, AOHD has participated in a number of local fundraisers and community events, including contributions to Susan G Komen for the Cure, Young Life, Boys and Girls Town and Ozar Food Harvest. Three years ago, the Gonzaleses travelled to Rwanda and met with Charles Mugisha Buregeya, the founder of the Rwandan-based Africa New Life Ministries. It was during the trip that the couple realized that what the country needed more than charity was practical skill-building and training that would lead to job creation. Although unemployment rates are high, Rwandans spend a good portion of their disposable income on hairstyling and cosmetology services. Opening the Dream Academy seemed like the perfect way to stimulate the economy while providing a service that they knew would be used. “Africa New Life already had a school of carpentry and seamstress and they were familiar with how to establish trade schools in their country,” says Daugherty. A partnership was forged and the school officially opened its doors in November of 2012. The students and staff at AOHD were incredibly supportive when the plans to open the Dream Academy were announced. In early 2011, they began a series of “Project Africa” meetings and fundraisers, including the now-yearly Give Thanks, Give Back campaign, during which all profits from the salon services are donated to Africa New Life. Tuition at the Dream Academy is subsidized by donors, and thus far, all enrolled students have been sponsored. An AOHD delegation, the “Project Africa” team, went on the school’s first annual 9-day mission trip to Rwanda to help launch the Dream Academy, an eye-opening opportunity that will be extended yearly to staff and students. 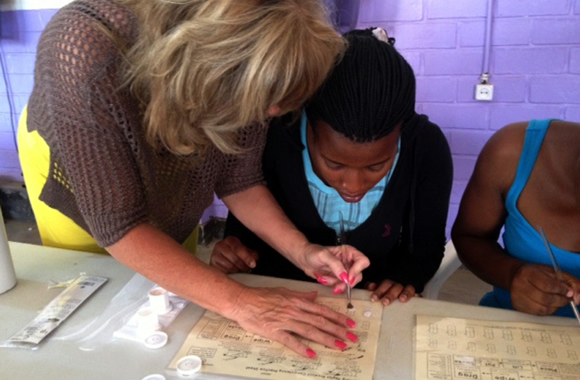 A young Rwandan woman is taught the art of acrylic nails by an AOHD delegate. Enthusiasm for the project is widespread. To learn more about the Academy of Hair Design or to get more information about the Dream Academy of Hair Design in Rwanda, including how to sponsor a student, please visit the school’s website.